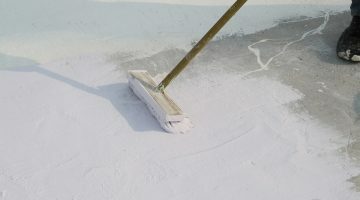 Deciding to apply an epoxy coating to the floors in your home or business is one thing. Finding a reputable contractor is another. Fortunately, your options are wide-ranging, thanks to the internet. 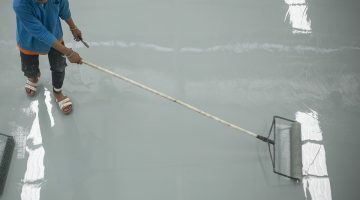 With this valuable tool, you can get multiple numbers of epoxy flooring contractors. But how do you choose which one to hire? 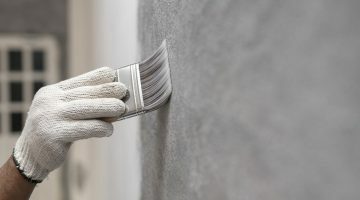 In this quick guide, we’ll go over the top four questions you should ask epoxy flooring companies before you seal the deal. 1. How long have you been in the epoxy coating industry? One of the worst nightmares a property owner has is hiring fly-by-night floor contractors. 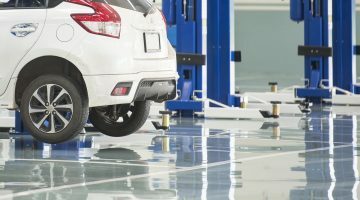 One way to determine if a garage floor coating contractor is reputable is to ask about their experience. There are several ways you can validate this, such as by asking for their portfolio. Most floor contractors take before and after photos of their work to help promote their service. As a rule of thumb, the company should have at least a year of experience. But the more years, the better. 2. Do you have your own crew or subcontract your projects? Now, it’s important to inquire about this so you know exactly who’s working on your floors. Who’s at fault if something goes wrong? Are they insured and bonded to cover whatever damage that may ensue in an unfortunate accident? Some customers prefer to work with epoxy flooring companies that have their own crew. This gives them peace of mind when hiring them to work on their floors. 3. Do you own epoxy coating equipment or rent it? Here’s a question that’ll help identify whether the business is successful. A company that owns their own equipment has likely been in the industry for a while. Plus, their ability to afford such expensive equipment proves their financial success. Surely, a fly-by-night organization isn’t going to dish out big dollars on equipment. Also, the fact they own their own equipment means they’re less likely to charge you upfront. Otherwise, they’ll need the cash to obtain the tools to begin working on your project. 4. Do you have references I can contact? The best way to learn about a company is hearing the reviews from past customers. You can gain access to their clients by asking for references to call. Make sure to reach out to them and ask vital questions, like what type of work they had done and whether they’re satisfied. It’s also a good idea to use the web to look for online reviews about the brand. How many stars does their business listing have? And what type of complaints do they receive? Do these complaints outweigh all the positive feedback they receive? 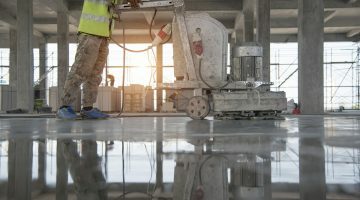 Now that you’re equipped with four leading questions to ask prospective epoxy flooring contractors, it’s time to begin your search. The internet is a great place to begin. One reputable contractor worth checking out is Resin Floor Coatings UK. We have a team of experienced contractors who are licensed, bonded, and insured. If you’re in need of quality epoxy coating services for your floors, then contact us today!